Did you know that April is Autism Awareness Month? This is a great time to take a look at a couple of local businesses who are employing individuals with Autism. As an Employment Specialist working for the Devereux Foundation, I have a great amount of respect and appreciation for employers who look past a person’s disability and see someone with great skills, commitment, integrity and a strong desire to work. This is why I am a huge fan of Mr. Stuart, owner of Mr. Stuart’s Martial Arts and Haganah Training Center and Beau Westhoff and Brian Chamberlain, co-owners of Club Fit 24/7 (both gyms are located on Hannum avenue, but are completely separate gyms under separate ownership and management). 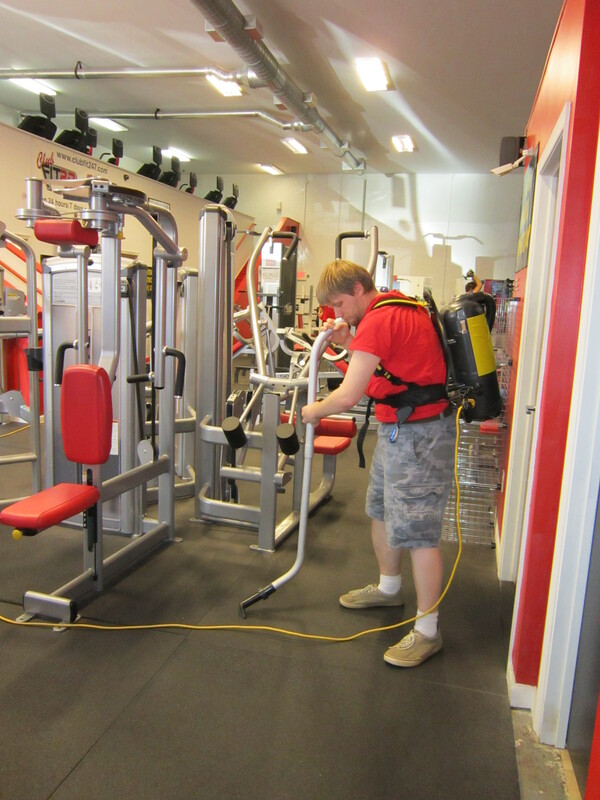 Over a year ago I was job seeking with Ray Dahl, an individual who is part of the Community Adult Autism Partnership Program (CAAPP) through Devereux, and I approached Mr. Stuart to see if he could use a hardworking guy to help clean his gym. His response was immediate and enthusiastic and Ray has worked for Mr. Stuart every Friday since. After a few months Ray decided he wanted to work more hours so I approched Beau and Brian next door at Fit 24/7 and I received the same reaction – no hesitation, just let’s give him a chance. This partnership has proven positive to all parties involved. The program for which I work, Devereux Community Supported Employment in Strafford, is a program that connects employers and employees with disabilities. We work to match candidates to fit the employers business needs and the needs of those in our program. Mr. Stuart’s Martial Arts center is a busy gym offering a variety of classes including Combat Fitness, Haganah Fight training, Sports Performance and Fitness training, kids classes and more. Next door at Fit 24/7, Beau and Brian offer 24 hour key card access to the gym as well as programs such as, Personal and Sport Specific training, Nutrition and Weight Management, Bodybuilding and Figure Competition training. Ray plays an integral role in keeping the flow of the gyms efficient, safe and clean and his employers couldn’t be happier, (quote from Brian and Mr. Stu). Ray’s employment success is just one example of the great things that can happen when you give, an otherwise unlikely job candidate in some people’s eyes, a chance to prove himself. My success would be to walk into more businesses like Mr. Stuart’s and Club Fit 24/7 in West Chester and see someone like Ray hard at work with a smile on his or her face. When considering your employment needs take a minute to remember, especially this month, people like Ray and the great guys who gave him a chance.